An insider in the CNM and former presidential spokesperson, Dr. Doyin Okupe, has said the Coalition for Nigeria Movement will present a candidate who will defeat President Muhammadu Buhari in the 2019 presidential election. He, however, said the group was not formed to either attack the Buhari government or to discredit the APC. Okupe, in a statement on Saturday, said since it would be difficult to defeat an incumbent, the CNM was created as a broad platform with a view to presenting a candidate who would contest against Buhari with the hope of defeating the incumbent President. Okupe stated, “It is absolutely impossible to oppose the incumbent especially a towering figure like President Muhammadu Buhari and hope to defeat him. “To defeat Buhari will require an exact repeat of what Bola Tinubu and others were able to do with the APC in 2014 by creating a broad platform encompassing the political majority in the country. 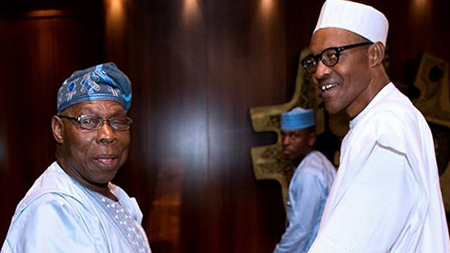 The former aide to Obasanjo explained that the CNM believed that the APC government, led by Buhari, had not done well since it took over power about three years ago. “We recognise the fact that the APC has not done well. We are convinced that the decision by Buhari to contest again will not augur well for the country. To allow the APC to win means Buhari will continue and that would not be in the interest of Nigerians,” he added.